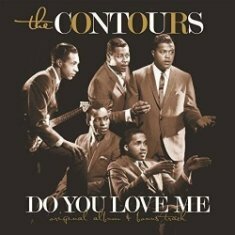 Tears on My Pillow is another great original Doo-Wop classic with lyrics you can understand and appriciate while enjoying those fabulous harmonies created by the many great Doo-Wop groups from this era. It will always be a special time in my life as a teenager growing up when songs like this were on the charts. Written by Sylvester Bradford and Al Lewis, this classic golden oldie has beautiful words of sadness and longing for beginning again. 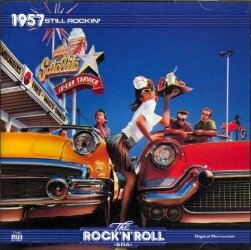 Kylie Minogue covered this in 1990 for the soundtrack of the movie The Delinquents. 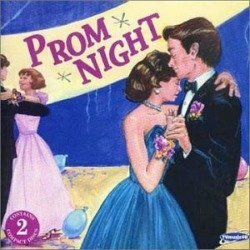 Her version hit #1 in the UK, however, of all the cover versions of this teen love song, and there were many, this original classic stands alone as the very best. It remains The Imperials' signature song. It hadn't been an easy journey for Anthony Gourdine, a Brooklyn native who fronted The Duponts and then The Chesters on singles that failed to hit before the latter group was renamed The Imperials (allegedly by End label public relations man Lou Galli). 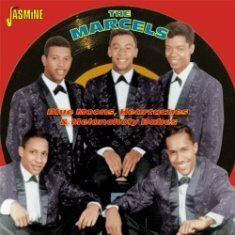 In addition to Jerome Anthony Gourdine, the vocal combo’s original members included first tenor, Tracy Lord, second tenor, Ernest Wright, Jr, baritone, Clarence Collins, and bass Glouster "Nate" Rogers. 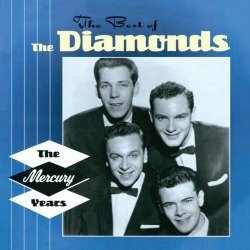 Their first single for George Goldner's New York-based End label was supposed to have featured the soaring ballad Two People In The World, but it was the other side, the silky Tears On My Pillow, that became their calling card when it became a massive hit in the summer of 1958. Well Known DJ Creates "Little Anthony" Identifier. 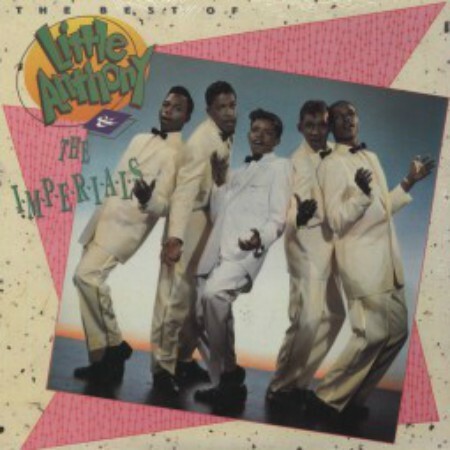 Early copies of the original End Record single were credited simply to "The Imperials," a group which had previously been known as "The Duponts" and "The Chesters." Brooklyn, New York deejay Alan Freed gave the group's lead singer, Anthony Gourdine, top billing while introducing the single over the air and used the nickname "Little Anthony" because of his youthful-sounding falsetto vocals. The nickname became an identifier. “Tears on My Pillow” went to #2 on the R&B Chart and #4 on the U.S. Pop Chart and became a million seller. 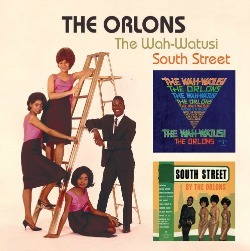 The original A-side, now the B-side featured the song “Two People in the World,” which was successful as well. Watch this video and listen to this classic oldie. The people remembered and what a wonderful welcome they got! Imperials "Diary" Lost To Sedaka. 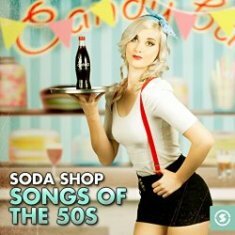 In early 1959 End label owner, George Goldner was leaving on a European vacation and left instructions with his second-in-command to issue another Imperials ballad, Neil Sedaka's "The Diary" as the group's next 45. Instead, A&R man, Richard Barrett chose his own composition "So Much" as the next group's release. 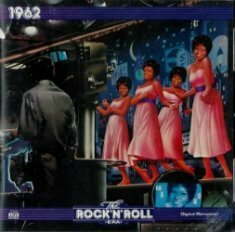 As it turned out, by the time The Imperials' treatment of "The Diary" came out, Sedaka's own RCA Victor version had stolen its chart thunder. 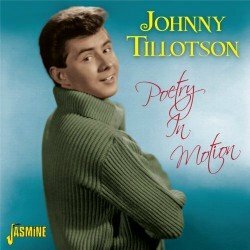 1959 - A Missed Gospel Rocker & Then Shimmy Shimmy, Ko-Ko Bop. With some low-end chart entries in 1959 the most exciting thing the Imperials waxed that year, the gospel rocker, "I'm Alright," penned by Gourdine and his pal Sam Cooke, somehow was missed by consumers. "Very few people know that I wrote that song in the basement at the Apollo Theater in New York," says Anthony. "We were just goofin' around, and one word led to another. And I came up with a word, he came up with a word. We came up with a riff, and there it was!" The group's gymnastic choreography on the number never ceased to electrify their audiences. 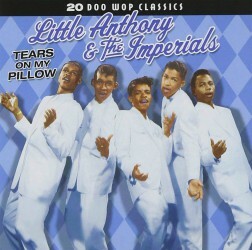 However, in November of '59 The Imperials rebounded with their upbeat End label entry Shimmy Shimmy, Ko-Ko Bop. The song made its way to #14 R&B and #24 pop. Anthony indicated it was not one of his favorite songs, but he was also quoted as saying..."Whatever people spent their money on and gave us a chance to do what we're doing now, I loved. The Hits Stopped, The Split-up and A New Beginning! In the spring of 1960 The Imperials recorded "My Empty Room" b/w "Bayou, Bayou Baby" but barley made a splash on the charts and the hits stopped. 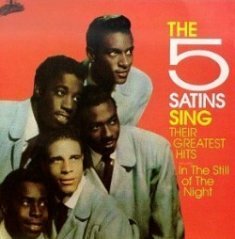 Anthony split from the group but by '64 he rejoined Wright and Collins and added tenor Sammy Strain to reform "Little Anthony and The Imperials." 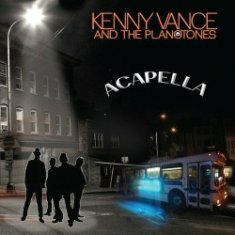 They began an even more impressive string of pop/soul hits with arranger/producer Teddy Randazzo for Don Costa's DCP Productions label. 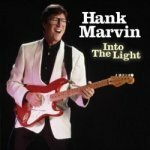 Starting the year with "I'm on the Outside (Looking in)" that charted at #15, two top ten hits followed, "Goin' Out of My Head" at #6 and "Hurt So Bad" finishing out at #10. "It's a nice feeling to begin and end your career, not only with peers but good friends," says Anthony. "We basically all grew up together in Brooklyn." Hall of Fame and Other Awards. 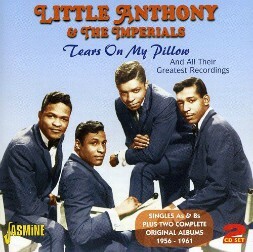 Little Anthony and The Imperials were inducted into the Rock and Roll Hall of Fame on January 14, 2009. Gourdine, Wright, Collins, Strain, and Rogers were present to be honored. Tracey Lord was inducted posthumously and his sons accepted his induction on his behalf. It should also be noted that Sammy Strain is one of the few artists in popular music history who is a double Rock and Roll Hall of Fame inductee, having been inducted with the O'Jays in 2005 and the Imperials in 2009. 1993 - Rhythm & Blues Foundation's Pioneer Award. 1999 - Vocal Group Hall of Fame. 2006 - Long Island Music Hall of Fame. 2007 - Hit Parade Hall of Fame. 2014 - Goldmine Hall of Fame. 2015 - Official Ryhthm & Blues Hall of Fame, Cleveland. Visit the Golden Oldies pages here. Return Home from Tears on My Pillow.